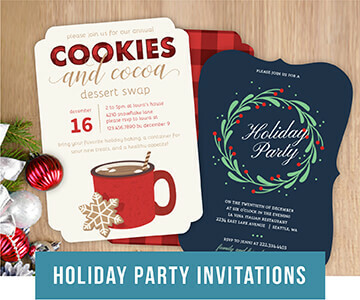 You’ve set the date, narrowed down your guest list, and found the perfect save the date… what’s next? 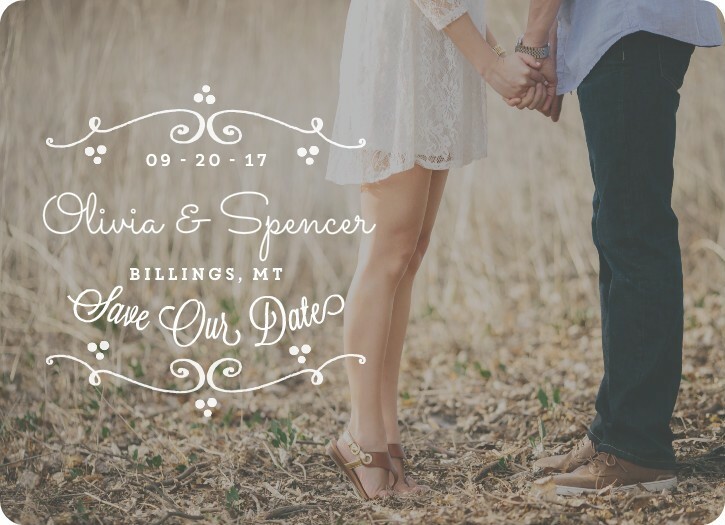 Cute save the date wording! If you’ve found yourself wondering what to write inside of your save the date cards, fear not! 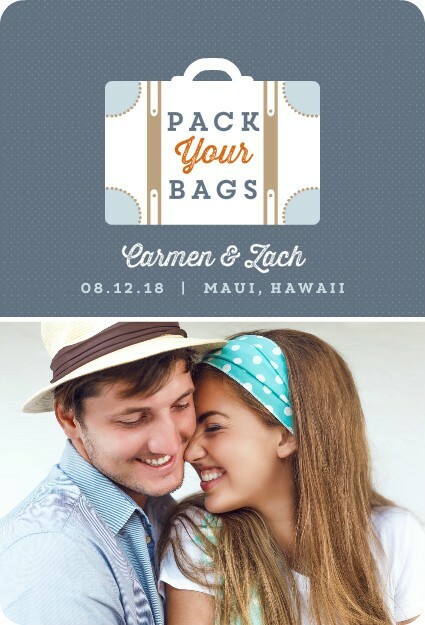 Gain inspiration from this list of cute save the date sayings and cute save the date wording ideas! 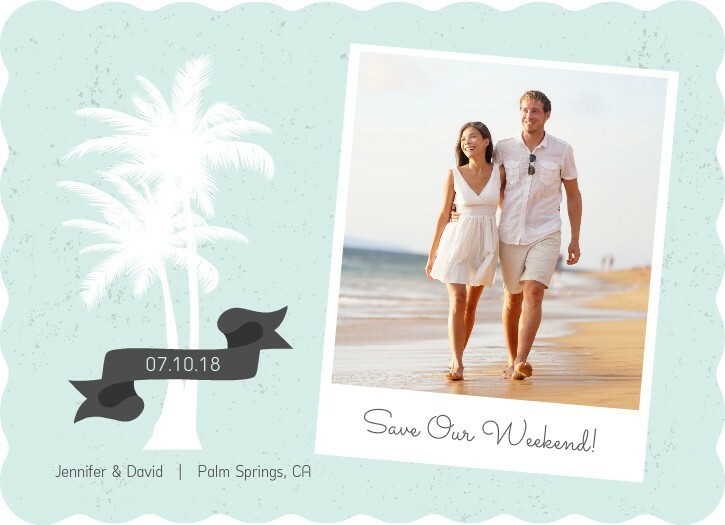 We have cute save the date wording samples, examples, and sayings that range from funny and clever to sweet and romantic to everything in between. Read on to find one that works for you and your nearing wedding. 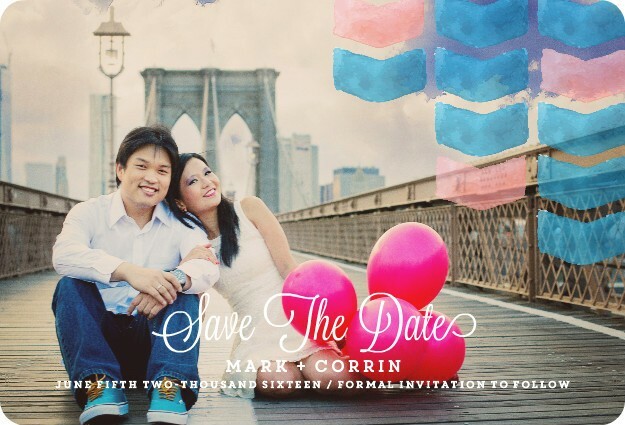 Watercolor Geometric Pattern Save The Date Announcement. Photo courtesy of Angelica Roberts Photography. 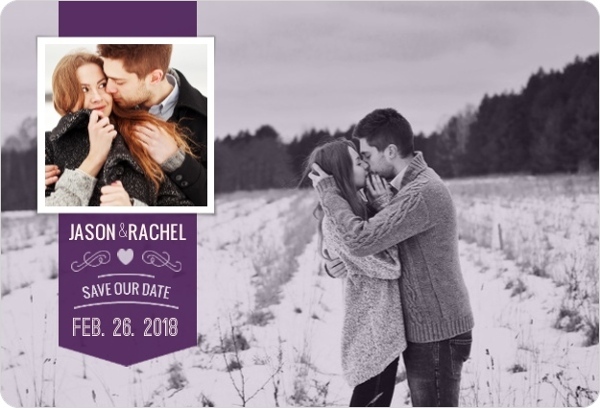 If you haven’t already found save the date cards for your wedding, try exploring PurpleTrail’s large selection of save the date cards. 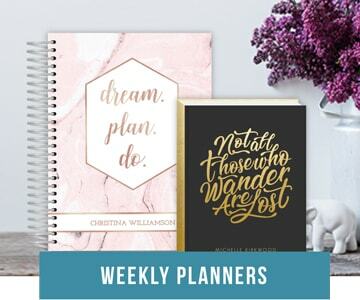 You’ll find cute save the dates in a variety of colors, styles, and layouts. 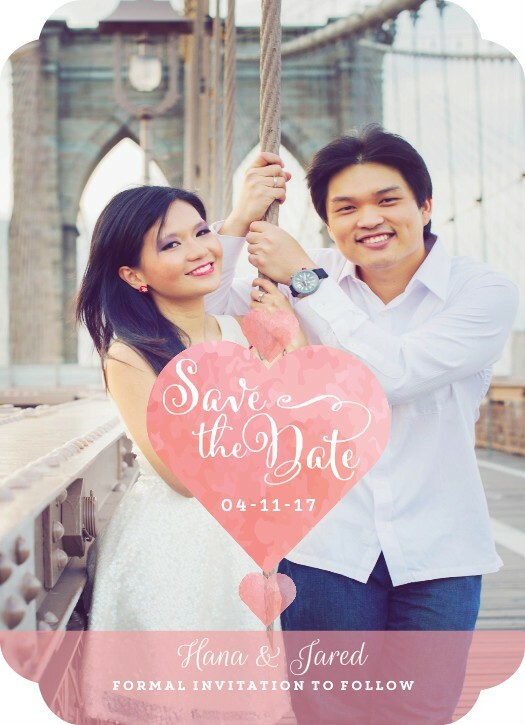 All of our save the dates are totally customizable, so you can add your choice of photos, fonts, embellishments, colors, and more. 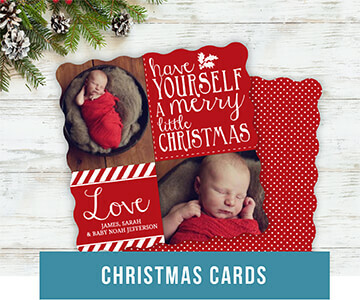 If you can’t find a design you love, you can always create your very own from scratch in our easy-to-use design center. Romantic Watercolor Heart Save The Date Announcement. Photo courtesy of Angelica Roberts Photography. He stole her heart. Now she’s steeling his last name! 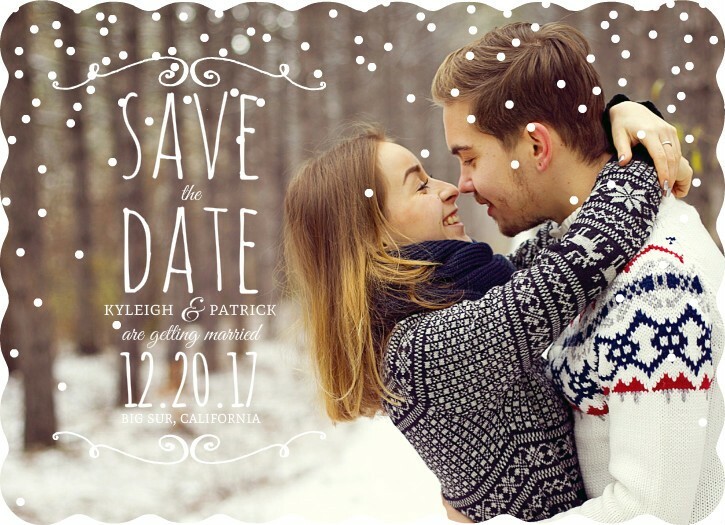 Blue Winter Snowfall Save The Date Announcement Magnet. Don’t let our wedding pass you by! 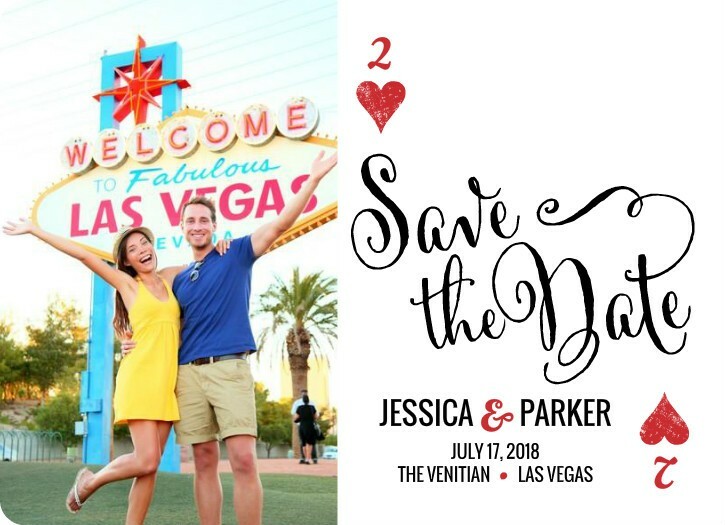 Las Vegas Poker Save The Date Announcement by PurpleTrail.com. We’ll save the world, you save the date! The hunt is finally over! Save our date: 04.15.19! Hey! Guess what we’re doing on 02.12.19? Getting married! Save the date and celebrate with us! 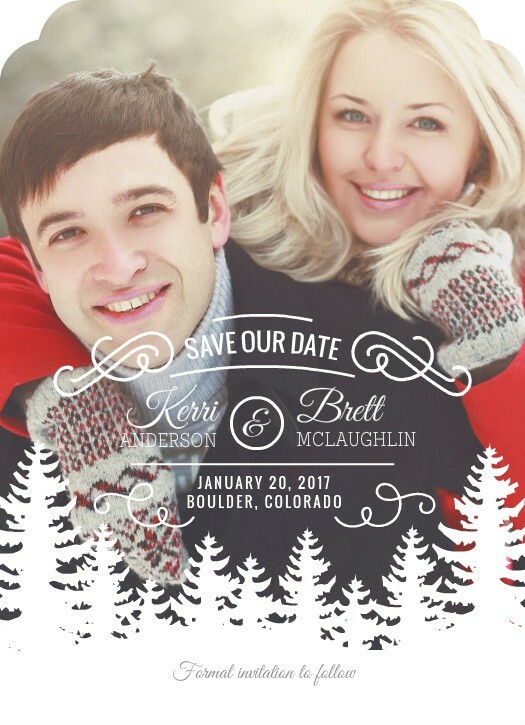 Winter Tree Line Save The Date Announcement. Free cake. Open Bar. Need we say more? Veronica and William are tying the knot! Rustic Charm Save The Date Announcement by PurpleTrail.com. 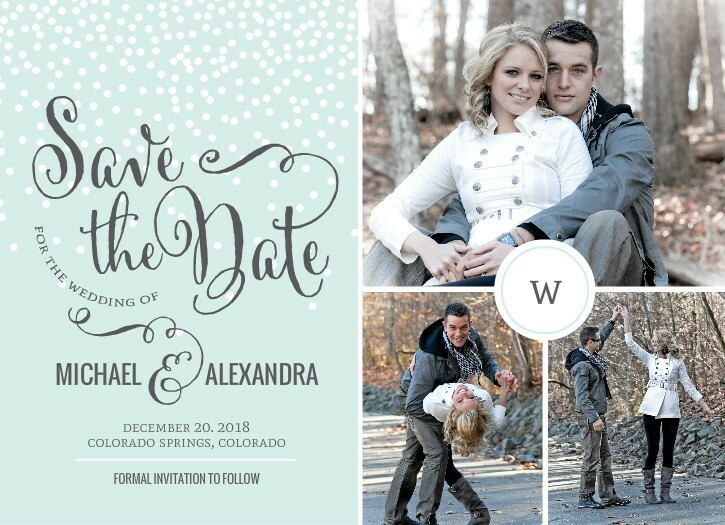 Whimsical Winter Flourish Save The Date Announcement by PurpleTrail.com. Pack your bags and Save The Date!